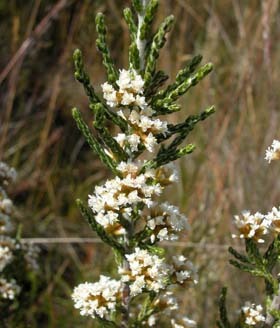 This is a common shrub in dry alpine and subalpine heaths (e.g. in the drier areas of the Central Plateau, such as Liaweenee Moor). It is one of the species known as Kerosene Bush because of its aromatic, inflammable foliage.